EOS Evolution of Sore? Heads up anyone who purchased EOS lip balm—the celebrity-endorsed lip balm—got hit with a consumer fraud class action lawsuit this week, alleging the product causes lips to crack, bleed and blister. Yah, that’s a great look. EOS, which stands for Evolution of Smooth, pays celebrities such as Kim Kardashian, Brittney Spears, Miley Cyrus, Hillary Duff, and others, to post pictures on Instagram and social media, creating a viral marketing frenzy around the product, targeted at consumers. 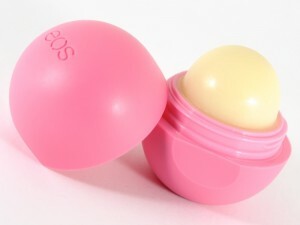 EOS claims the lip-balm is, in addition to making lips smooth, a travel companion and a cure for health and hygiene problems. However, Ms. Cronin’s lips did not become smooth, instead they began severely cracking on the edges causing flaking and bleeding from the cracks. (Sensationally sore? New tag line maybe?) By the next day, Ms. Cronin’s lips and surrounding skin area allegedly had severe blistering and rashes causing her to seek medical care on Monday, December 7, 2015. Ms. Cronin was in severe shock and panic. Her symptoms lasted approximately 10 days. Not good. Ms. Cronin shared the story of her experience with EOS and posted a picture of her face with boils and blisters on Facebook. The post set off a frenzy of responses from other individuals who shared the identical experience with EOS. It became clear this was not an isolated incident but instead hundreds, possibly tens of thousands of consumers may be affected. Priceline Profiting? Priceline got hit with a proposed consumer fraud class action lawsuit this week, over allegations it collects taxes from customers for hotel rooms, car rentals and airline tickets booked through the site, but those taxes are not returned to customers when reservations go unused. That’s a nice little earner—if true. According to the Priceline lawsuit, filed by Priceline customer Richard Laquer, the taxes and fees collected for his car rental in June in San Francisco were not returned to him even though he never picked up the car. Additionally, he claims that this money was never paid to local tax authorities, meaning The Priceline Group Inc, was unfairly profiting from its collection. Ka ching! Laquer claims that he used the “Name Your Own Price” feature on the Priceline website to reserve a car rental for $35. However, he was also charged an additional $19.05 in “taxes and fees” for the transaction. When he did not rent the car Priceline kept the charges, the lawsuit states. “Priceline Group knew when these representations were made, or made them as a positive assertion recklessly, that it would not pay the ‘taxes and fees’ it collected from plaintiff and the putative class members to the various federal, state and local taxing authorities in the event the rental or purchase was not completed,” the complaint states. The potential class action asserts negligence, unjust enrichment and false representation. It is seeking disgorgement of the taxes and fees collected by Priceline and not returned with canceled orders and actual and punitive damages of not less than $5 million, and an injunction prohibiting the company from charging taxes and fees in the future unless a transaction is completed. The case is Laquer et al. v. The Priceline Group Inc., case number 5:16-cv-00015, in the U.S. District Court for the Western District of Oklahoma. Vioxx Socked…Again. Wow—talk about the drug that will not die. This week, Merck announced it will pay $830 million to end the Vioxx multidistrict litigation brought by investors who alleged securities fraud violations concerning the illegal marketing of the company’s now defunct NSAID pain killer Vioxx. In 2011, Merck agreed to pay a criminal penalty of almost $1 billion over its marketing of Vioxx. In a statement issued by Merck & Co. Inc, the pharmaceutical company denied any wrongdoing, and noted that it still faces individual lawsuits stemming from the same alleged misconduct, specifically that it marketed Vioxx for off-label uses and downplayed its risk of causing heart attacks. The allegations made by investors are similar to those of the criminal case, alleging Merck attempted to conceal Vioxx’s cardiovascular risks, and claimed that patients taking the drug in a clinical study for rheumatoid arthritis were five times more likely to suffer a heart attack than those who took the comparator drug, naproxen. In 2004 Merck was forced to recall Vioxx. The recall, in conjunction with media reports concerning the associated risks of the drug, caused Merck’s stock price to fall dramatically, according to the investors, whose claims against the company were consolidated in New Jersey federal court the following year. The case is In re: Merck & Co. Inc. Securities, Derivative & ERISA Litigation, MDL number 1658 and case numbers 2:05-cv-01151 and 2:05-cv-02367, in the U.S. District Court for the District of New Jersey. Ok—That’s a wrap folks… Happy Friday…See you at the Bar!